Color: Grey. Rubber Outsole. Age: Adult. Softfoam Sockliner Gives Plush Feel Under The Foot. Product Details. 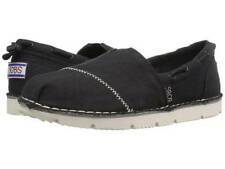 SKECHERS Women's Gray Black Memory Foam Sz 7.5 Lightweight Sport Shoes Loafers. Condition is excellent Pre-owned. Shipped with USPS Measure: 10.25 inches long and 4 inches wide I ship all items within 12 hours of payment received. International buyers welcome! GRATIS - FULL CIRCLE Size 7.5. Stitching accents Zigzag stitching detail on front panel. Side S logo SKECHERS logo detail on heel and tongue panels. Slip on bungee laced sporty casual comfort sneaker design. Good pre-owned condition= Shoes/Boots show typical signs of wear and tear throughout insole and outsole. Still in wearable condition. Fair condition= Shoes show signs of heavy wear from previous use including heavy scuffs, creases and heavy signs of use to the insole and outsole. Color : Light Gray. Condition : New with box. 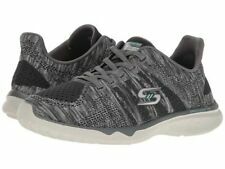 Skechers Ultra Flex Comfort Navy Blue Walking Sneakers Size 7.5M. Condition is New with box. Navy blue with white rubber sole and memory foam footbed. Style: FLORA, E1372M3402. - High abrasion grade EVA with rubber pods in high wear areas. -UK 5.5, Eur 37.5, and CM 24.5. -Color: Navy/Mint.